Sevenoaks to demo Meridian Sooloos system during Bristol Show | What Hi-Fi? 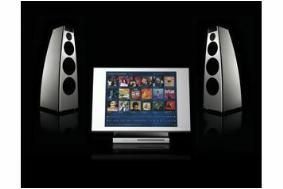 Sevenoaks in Bristol will be running a demo of Meridian's flagship Sooloos 2.1 system with DSP8000 loudspeakers and the 808.3 Signature Reference CD and network player. The system will be on show for this weekend only, February 26th-28th, at Sevenoaks Sound & Vision, 92B Whiteladies Road, Clifton, Bristol BS8 2QN.